About a week and half ago I bought fresh raspberries with the intention of using them in the Sweet Melissa Sundays Chocolate Raspberry Truffle Torte recipe. Unfortunately I didn't get a chance to bake that week but I was determined to make sure the raspberries didn't go to waste. I washed and dried them and then laid them out on a cookie sheet and put them in the freezer. Once frozen I transferred them to a ziploc bag. 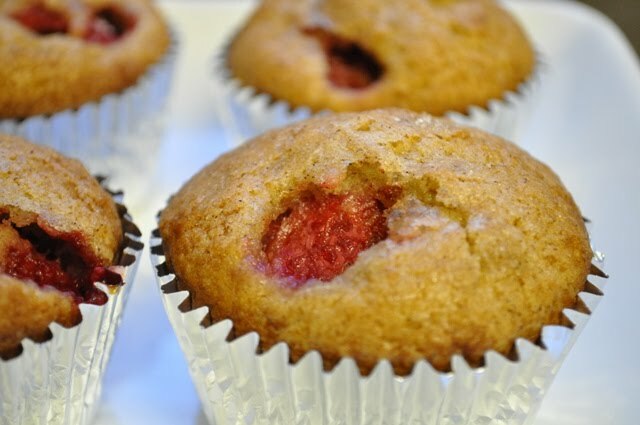 I wanted to bake something to take over to my Grandfather's house and I thought of those raspberries and a recipe I saw on Tracey's Culinary Adventures blog a couple of weeks back. 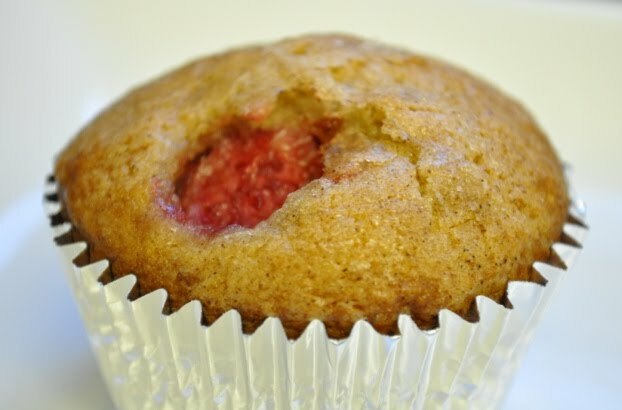 This is a simple yet tasty muffin recipe and comes together quickly and easily. They turned out nice and moist. Unfortunately my raspberries weren't as sweet as I would have liked. I also would have added another 1/2 tsp of cinnamon. They would be even more special with a sprinkle of coarse sugar to dress up the tops. Next time! For the recipe check out Tracey's blog.